A total of 199,810 graduates were known to be working in the UK six months after graduation, up 6% from last year1 and marking the largest number of new graduate entrants to the UK labour market on record. Prospects’ annual What do graduates do? report published in partnership with AGCAS, has revealed the destinations of 267,735 full and part-time first degree graduates in January 2015 – six months after they had left university. 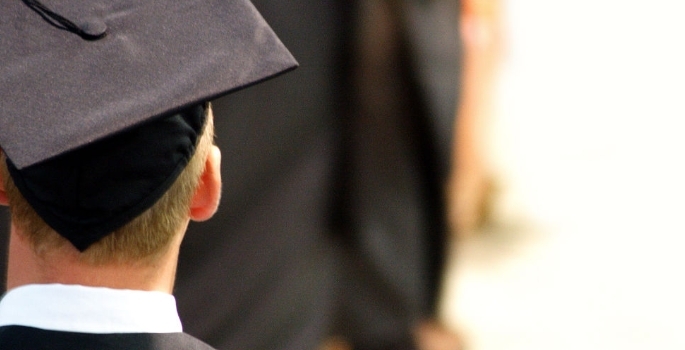 The new figures show that the graduate jobs market has recovered from the recession. The employment rate for new graduates had increased from 75.6% in January 2014 to 76.6% in January 2015. Unemployment rates were down to levels last seen before the recession in 2008, falling a full percentage point to 6.3% (7.3%, 2014). The number of graduates entering professional level jobs has increased. At 68.2%, the majority of working graduates were in professional-level employment (135,980). This increased by 11,280 – marking a rise of nearly two percentage points (66.3%, 2014). While London is by far the most common destination for new graduates with 21.3% of all working graduates starting their career there, it is a long way from employing the majority. The South East and North West employed more than 10% of working graduates each. Birmingham, Manchester, Leeds, Glasgow, Edinburgh, Oxford, Liverpool, Bristol, Cambridge, Sheffield and Belfast, and the regions of Surrey, Kent, Hertfordshire, Hampshire, Lancashire and Essex all employed more than 2,000 graduates from the 2013/14 cohort. As an improved economy leads to improved graduate prospects, the proportion of graduates going into postgraduate study tends to fall. The experience of the 2013/14 cohort was no exception with 17.6% entering full- or part-time study after six months, down from 18% in 2014. The average graduate salary after six months stood at £20,637, a marginal rise on previous years. Charlie Ball, head of higher education intelligence at Prospects said: “This cohort started university mid-recession, when the outlook for graduates was the worst it had been for a generation. They worked hard, they made themselves employable and they have been rewarded. For this year’s graduates the outlook is as good as it has been since before the recession, most graduates will get jobs quickly, and the large majority of those jobs will require a university education.